Everyone loves cupcakes! Especially to celebrate the holidays and changing of seasons! In “Cupcakes! 12 Months of Happiness” you will find a cupcake for each month that is sure to please children and adults alike. Whether you are an accomplished baker or a novice, you will love these quick, easy and fun cupcakes. I’ve included answers to some of my frequently asked questions, the essential tools for easy cupcake decorating and materials I used to create 12 Months of Happiness. Cupcakes! 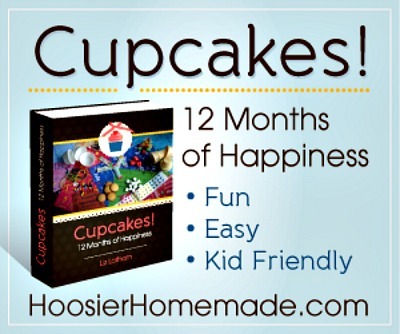 12 Months of Happiness is available for you to download and create amazing cupcakes for your family!